A new Alien: Isolation mod entitled “MotherVR” has brought VR functionality to the Oculus Rift and HTC Vive on PC. Modder Zack “Nibre” Fannon has taken what once was only compatible with the development kit model of Oculus and ported it to the consumer version. 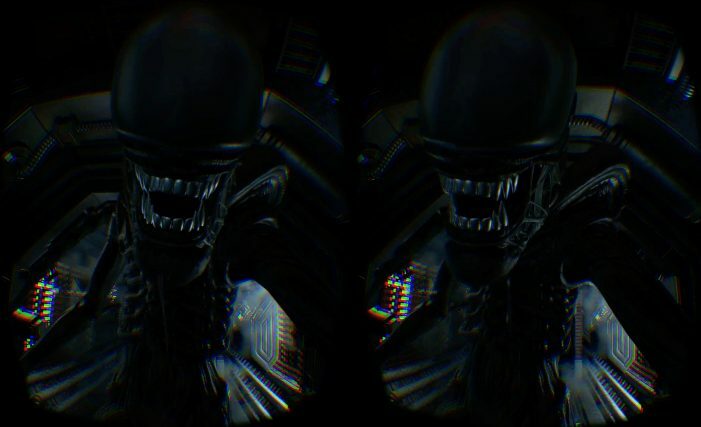 Alien: Isolation VR mode was previously demoed at E3 2014 leading up to the game’s release. Unfortunately this prototype VR mode was only used for promotional purposes and the feature never made its way into the full release. Last fall, Sega hinted that the game may receive a VR update or re-release, but we haven’t heard anything since. The feature was still hidden inside of the game’s code, and thanks to Nibre it’s now easily accessible to anyone with a consumer model Oculus Rift or HTC Vive. I had the chance to test the mod with my Oculus Rift, and thought I might share some impressions. The mod is incredibly easy to install, you simply drop a single file into your Alien: Isolation game folder. Really, that’s it. The Application places itself in the Oculus Home hub and images are also provided with the download if you want to replace the auto-generated ones. You can also launch from Steam, it will default to VR though so if you’d like to launch the game without VR: go to the game’s properties on Steam / set launch options / type “-novr” into the field. “Stomach” is the key word there and that brings us to the next point. VR can cause motion sickness, even in individuals who otherwise have no issue with first person games. Your sense of balance can be confused if you’re given full control of movement with a controller, as well as with your body. The Survival-Horror game Resident Evil 7 had numerous reports of people becoming nauseous after playing the E3 demo while it was still in development. VR developers have been implementing techniques to mitigate motion sickness in VR, such as “snap-turning,” teleportation movement, vignette effects, etc. The point here is that Alien: Isolation did not go though the full VR development cycle with this in mind, and therefore is a risk for players. That being said, I personally did not have any issue with nausea, though I did feel a little dizzy after taking the headset off. With that out of the way, Alien: Isolation in VR is absolutely incredible. This is the most immersive way to experience the game, and from the moment I put on my Oculus Rift headset and entered Sevastopol in VR for the first time, I was feeling the dark, foreboding atmosphere of the space station all around me. As a sci-fi fan, simply being able to wander in spaceships and space stations was delightful enough, but the encounters with the Alien are where this mod really shines. You really feel like you’re inside of a nighmarish survival situation, hunted by an unstoppable Xenomorph. The most intense moments were the death animations at the hands of the Alien. Once it gets close, the 3D depth effect of VR has the Xenomorph impose itself over you, before it snaps its secondary jaws into your character’s forehead. The feeling of dread I can have with VR horror experiences surpasses what I might feel playing a horror game or watching a horror film on a screen. I was surprised at the level of tension I was feeling while playing this. Horror really seems to get to me while immersed in a virtual environment. Although Alien: Isolation in VR is quite the thrill, I can’t recommend playing through the entire game this way in its current state. The mod is still a work in progress and isn’t without its quirks. Sometimes the HUD will become stuck to a part of the environment, the fixed head animations will cause some clipping, and activating an in game computer console will bring it too close to your eyes. I feel that Alien: Isolation in VR works best with shorter segments of play, such as those found in the Challenge levels and the Alien movie based DLCs: Crew Expendable and Last Survivor. Surviving aboard the Nostromo in VR made for a pretty epic fanboy experience. The mod is currently in Alpha 0.3.0 Nibre is planning on adding a number of further improvements such as snap-turning and touch controller support. I also personally hope that he adds a monitor preview of the headset gameplay, which could make for some nice social experiences with friends. 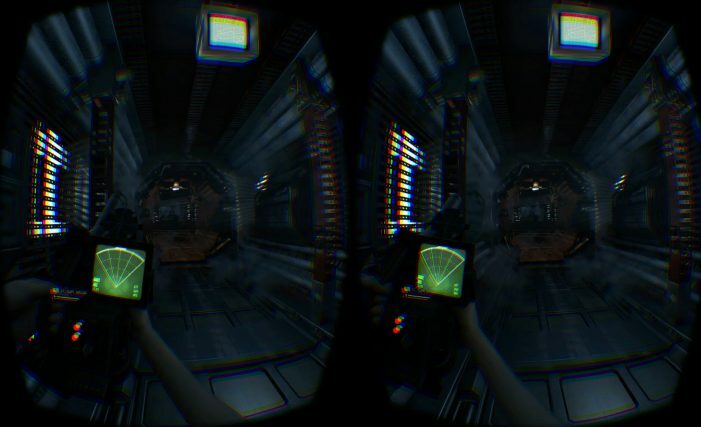 Virtual Reality seems poised to play an important role with the Alien franchise going forward, the medium being so effective for horror experiences makes it a natural fit. FoxNext is planning a Mixed Reality multiplayer game where untethered VR is augmented with physical elements. If we are to ever receive a sequel to Alien: Isolation, a game that I’ve come to see as one of the best things to happen to the Alien franchise, I definitely feel that an optional VR feature should be part of the official development process, as it would be a huge selling point. If you’re feeling brave enough, the download for the mod can be found here. If you’d like to support Nibre with his ongoing work on the mod, you can do so via his PayPal. Also, he’s on Twitter if you’d like to stay updated on his progress. Keep a close eye on Alien vs. Predator Galaxy for the latest on Alien VR experiences! You can follow us on Facebook, Twitter and Instagram to get the latest on your social media walls. You can also join in with fellow Alien fans on our forums! Hey RidgeTop, don’t forget M.U.G.E.N. too. There’s a wicked Capcom-style Predator by Duracelleur and all kinds of Aliens that can mix into a pretty dynamic fighting game. Glad someone was finally able to implement this. Hopefully one day I can get a VR headset and try it out.